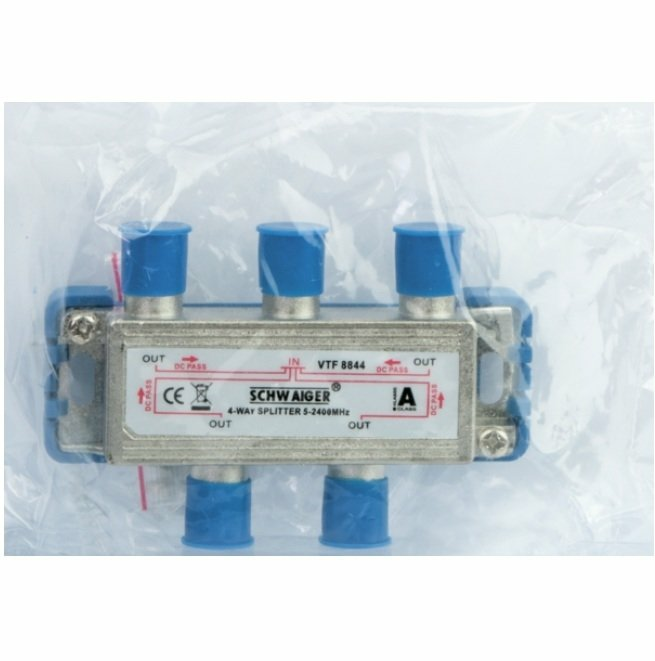 4-Way Splitter (9 dB) for cable, antenna and satellite systems. 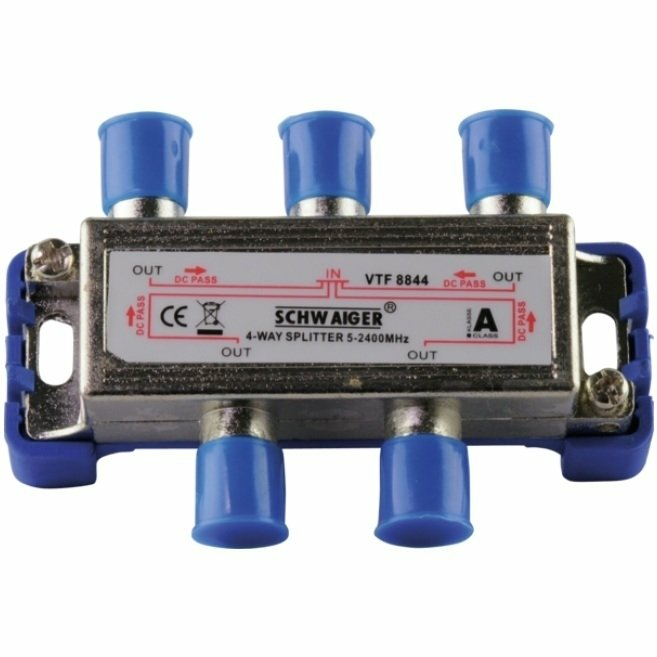 This SCHWAIGER® 4-way splitter is used with home distribution systems. 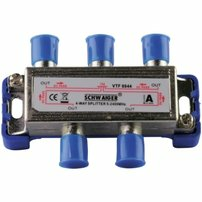 Due to the Direct Current pass, this splitter is perfectly suitable for SAT distribution systems. A plastic spacer allows for easy passing of cables.